Hello + welcome to our first meal plan of 2017! I have to say that I am really excited to be sharing this because it means that we are finally getting back to our normal routine after a very busy December. 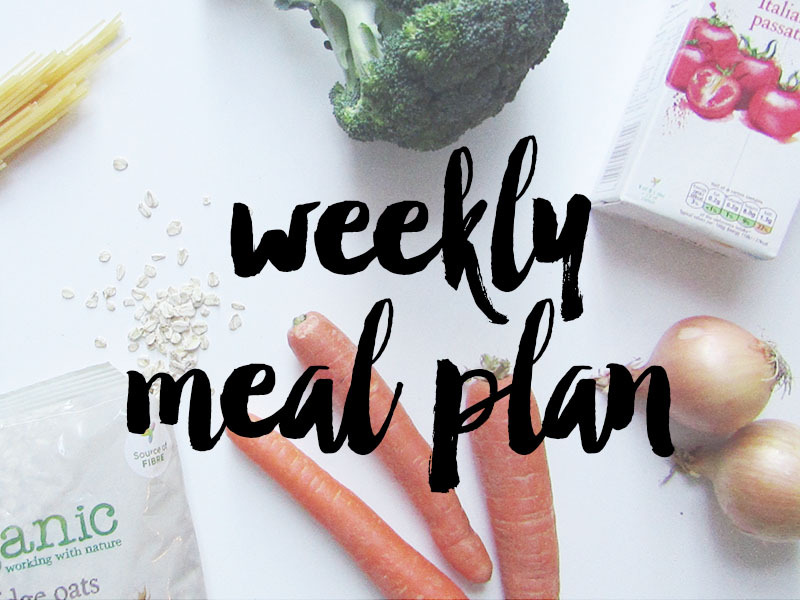 Whilst we had the most wonderful month, we were so busy that it was impossible to meal plan, and take aways featured far too frequently. I'm now so ready to get back in the kitchen and cook up some tasty, healthy dishes for my boys. We plan to continue eating meat a few times each week in 2017, so as usual, you will see a mix between meat and vegetarian meals. Do you meal plan? What is on your menu? Ohh! You have a lot of tasty meals planned this week!